In Search Engine marketing, there are 2 techniques that are used in order to optimize a person’s website in terms of where it is ranked on a search engine like Google. One of which is Search Engine Optimization (SEO), which refers to as an “increase the position of a company or its products in search engine natural or organic results listings for selected keywords or phrases” (Chaffey et al, 2012). The other is Pay-per-click (PPC), which is when the company decides to run online advertisements which will show usually at the top of the search when a person’s search result used a specific keyword. These 2 techniques are greatly different from each other, so how does one know when to use these techniques and for what situation? SEO could be a relatively inexpensive technique to use when compared to PPC. Why? Because SEO relies on the company to be able to do their job of creating their website well. This means that due to the high quality of the content that an organisation is able to create from their website, would mean that visitors would be more inclined to be looking through thus increasing your growth of your website by going up in the ladder. This is a very good way to organically be able to increase your websites popularity as according to an old study in 2014, more than 67% of all clicks go to the top 5 listings. Which means that the value of your website is naturally increased as there is more credible content that has been risen through the ranks rather than being paid for, which also means that as the popularity of your content grows, so will the amount of visitors, making SEO of your website more sustainable. Though SEO does indeed show so many benefits to us, there are also disadvantages such as that your website would not suddenly hit the top in one night as it takes a lot of time for search engines to gather data in order to rank your site, your site could also not be used and optimised properly which would greatly affect your website. 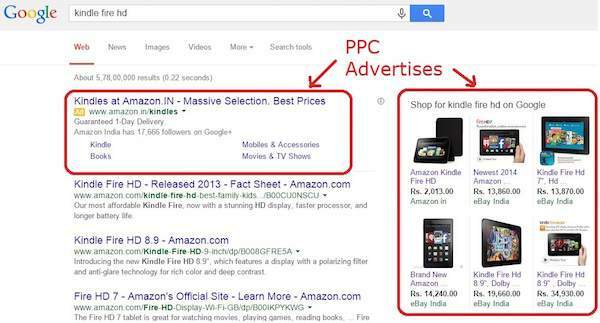 PPC on the other hand works really differently from the standard SEO method. As the name implies, Pay-per-click refers to paying the search engine in order to optimise your website as an advertisement ranked at the top which allows for many users to be able to see the website when a specific keyword is used. 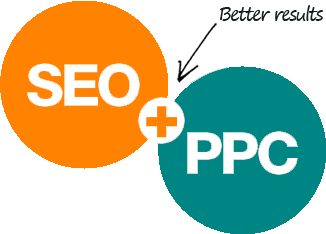 The advantages of PPC effectively is that it is effectively easier to reach your target audience as they would not need to search through your website, though they may just ignore it as the link has already been processed as a paid ad in their mind. This method is more of a potentially high cost method, the reason being is that when there are more people who click onto your website link, the more you would have to pay. Though by going through this method, you would allow you to temporarily gain more visitors which could boost your websites ratings. Based on this, most may pick one or the other, however what if instead of choosing just one method, but instead by readily using and monitoring both would you be able to gain the advantage when compared to the competitors? That is because when these 2 techniques are used together are they able to support and reinforce each other. An example of this method would be to sell seasonal products at the top ads whilst you still maintain a relatively high organic quality website link. 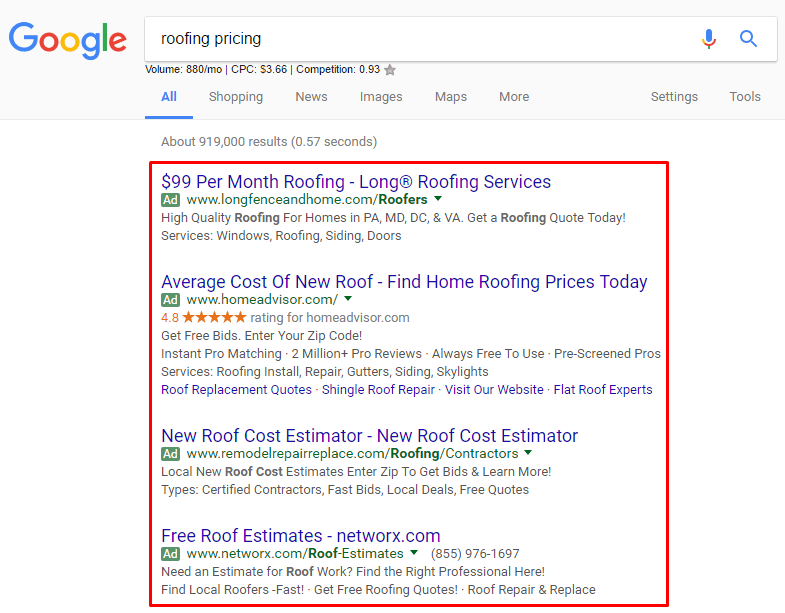 By doing this, though there may be loyal customers who browse for new arrivals/deals, there would also be a flow of potentially new consumers as they have clicked through the PPC advertisement. Even though it may be more costly and time consuming when compared to simply using one method, there seems to be many who choose to use both as it seems the most effective. But that would be in an ideal world as there are small business who would rather not spend on PPC advertisements and potentially increase their budget or if there are big companies who are simply just trying to get rid of their products or either their websites have not been well received. Which asks the question, which is better, SEO, PPC or both together? Internet of Things more vulnerable than you think? thanks Anastasia for the comment, in regards to answering your question, i think SEO is an especially great tool in order to market your web page. the reason why i think that is that compared to PPC, you are not forcing/pressuring potential consumers to visit your web page. and that through SEO, if you are able to properly gain a bigger growth margin, then through the research data, you would be able to clearly tell just how good/bad your page is doing. which would mean that the current market trend of your website could be more properly maintained as you continue to develop your website. however, i still think there are limitations as to how SEO works and should be made at once but with the help of PPC in the beginning or for seasonal offers. this is just due to having the page just startup, really having your page show through the advertisement page could help boost the awareness of the page. Hi! Great post, i think you got a point there that investing both SEO and PPC will definitely yield the best results as compared to just investing in either one. However, do you think this method is feasible for new businesses? in regards to your question, no i personally don’t think that this method is the most feasible for new businesses. the reason being is that as a new business itself, they should be focusing more on the unique way that they are projecting themselves to their consumers which in turn would differentiate themselves from the competitors. in doing this that would mean that they would have to use more money and resources from their budget which would then make it a little difficult to be able to use both SEO and PPC methods if the company does not simply have the budget for it.